Bookselling is unlike any other business. Of course, the business still follows industry trends and buying patterns to judge what books will sell most and what books may not sell at all. However, there is more to bookselling than Nielsen BookScan lists or other bestseller lists. When one goes to the local outlet of a national bookstore chain, it may be quite tempting to look only at the massive stand promoting newly arrived titles or the other prominent shelf heralding the bestsellers of the week. What one usually misses out on is good literature and some resourcefulness from the store salesmen. This probably explains why every city has a favourite bookstore and that favourite bookstore is usually not from a national or international retail chain. The booklovers of Bangalore would mostly recall Blossoms on Church Street as the first name when they think of their favourite bookstore in the city. Blossoms, which opened at the turn of this century, could indeed be one of the best stops for a bookstore tourist in the city. Not long ago though, there was the cosy Premier Book Shop and its knowledgeable proprietor T. S. Shanbhag who always seemed to know what book each customer would like. Independent booksellers like Shanbhag battle out many wars to establish their place in the commercial districts of any city. Eventually though, the stores succumb to obstacles including that of making way for businesses with better rate of returns, as had happened in the case of Premier. What, then, is the future of independent bookselling? And, would we see another independent bookstore battle the odds and make an impact on the society in this decade or at least in this century? 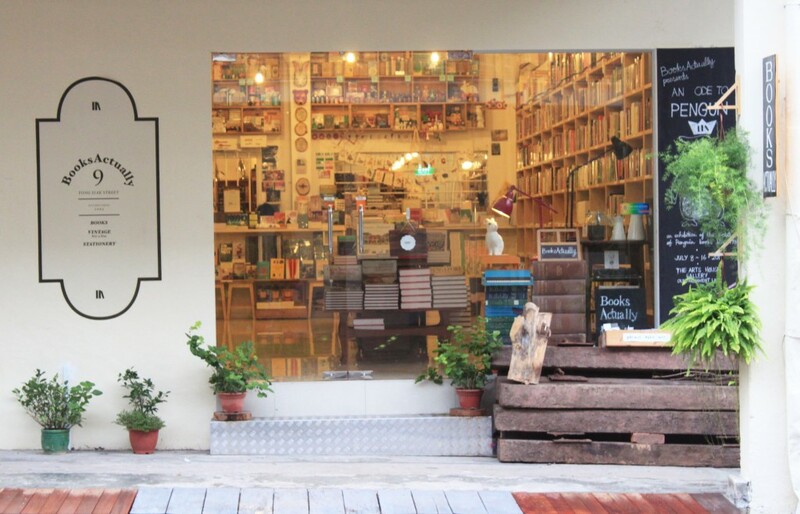 Away from here, on the Yong Siak Street in Singapore’s Tiong Bahru District, there lies a unique bookshop which any visitor (especially if s/he is a booklover) cannot afford to miss. Books Actually opened its doors not in the 1960s or even the 1980s, but more recently in 2005. 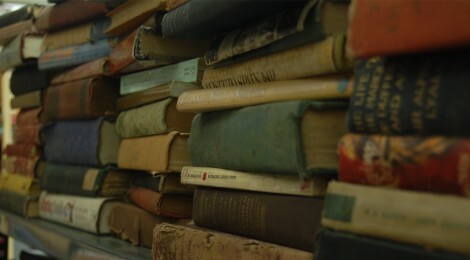 Driven by sheer passion for literature, Books Actually marks an important part in the history of the reading culture in Singapore. Unlike Amazon, Borders or Kinokuniya where a programmed algorithm recommends books you may like based on the last book you bought, the shop owners depend on their own knowledge of books and an uncanny curatorial acumen to help customers choose a book. Chances are you may not find some books (most likely, books outside the realm of literature) in their store. In such cases, the store owners have no hesitation or embarrassment in telling you where you could probably find it, online or physically. Bookstores such as Books Actually have a purpose not just to sell books – any or as many as it can – but to imbibe the culture of reading in its customer and to make even the more intimidating titles such as those of Dostoevsky, Tolstoy or Joyce less forbearing. 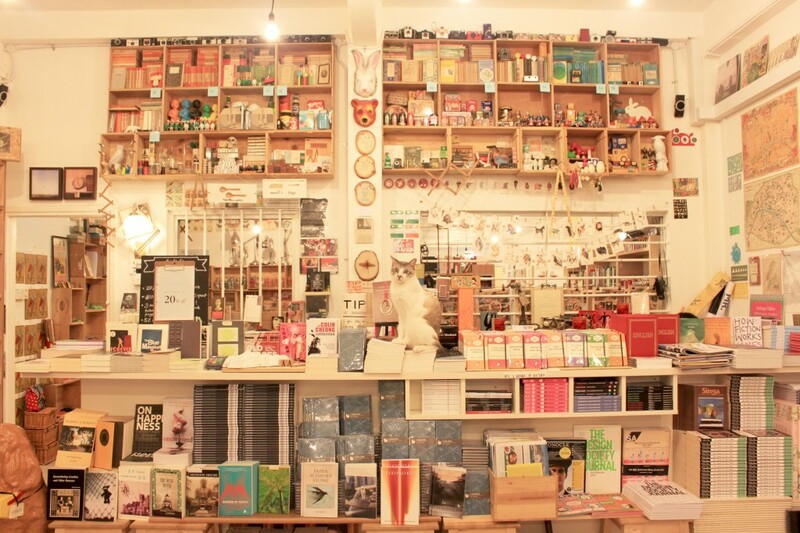 These bookshops also spread a sense of community by involving local writers in reading meets and book launch events. At times, retaining the space may not be viable in the longer term. In 8 years of its existence, Books Actually has moved a few times already, to meet their expanding needs and to keep the rental expenses low, before they pitched camp at its current location. Another bookstore worth mentioning here would be the Harvard Book Store situated in Cambridge, Massachusetts not very far from the University by the same name, yet not related to it. Functioning from 1932, the Harvard Book Store is much like Blossoms, a store selling both new and used books. Back in 1980, it became one of the first businesses in the world to set up a café along with the bookstore. This was long before the Borders stores with their in-store cafés proliferated around the world. Harvard Book Store also has a print-on-demand publishing service with access to millions of titles in the public domain and an intention to promote young independent writers by helping them self-publish their books. Harvard Book Store keeps itself and the tradition of reading alive through many events such as those carried out by Books Actually. However, what sets this bookstore apart is its appetite for innovation. Most recently in 2009, after a change of ownership (the Harvard Book Store still remains independent), the bookstore started its “green” book-delivery service, whereby young bicyclists deliver books to doorsteps of addresses within the Greater Boston area. Bookstores, independent and not just from the last century, have still managed to keep themselves afloat and in some cases thriving, largely due to the unique business models they follow. Coming back to Bangalore, the little-more-than-a-decade young Blossoms still offers the one-stop destination for any booklover who not only wants to buy books, but rather swim in them and bask in all the light that it offers. One would sometimes be stricken with wonder by the enthusiasm of the young salespeople of the store, who would know to an unbelievable accuracy where any book you ask for is located. Booklovers would yet prefer the pleasure of browsing on their own to the convenience of enquiring the availability of a title. One might never know what obscure gem remains to be discovered in the humungous collection sheltered under Blossoms. The Strand Book Stall, now promoted by Vidya Virkar (also a cousin of Premier’s Shanbhag) could be another haven for the book tourist in Bangalore. 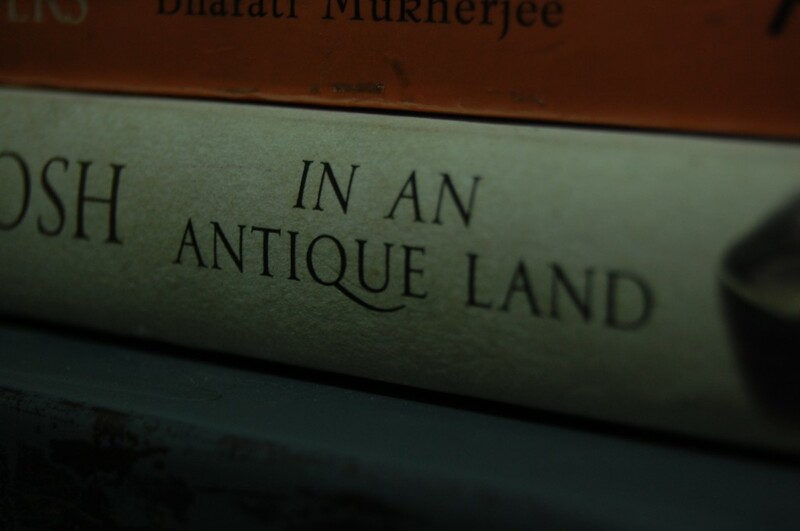 Selling only new books, Strand has from its inception in Bombay (1948) been giving discounts of at least 20% over the price of the book, throughout the year. 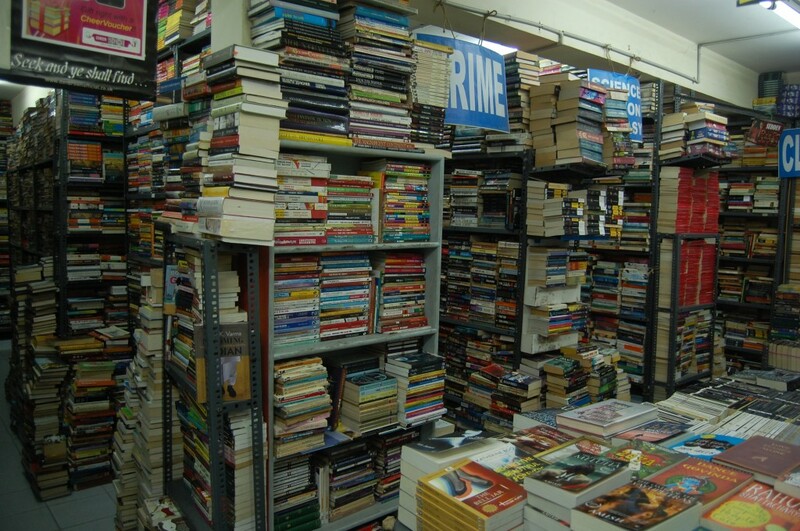 Strand also conducts its annual Strand Book Festival in Bangalore, for a period of around two weeks during which the discounts go up to 80%. 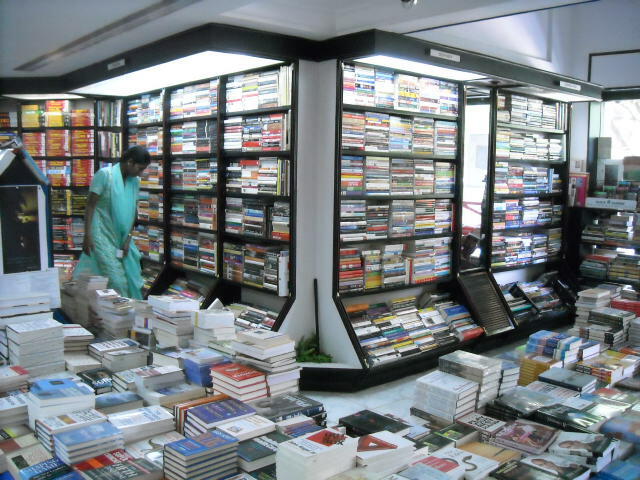 Under Vidya’s leadership, Strand has now expanded from being an independent local bookstore to being an independent chain having an outlet each in Mumbai and Bangalore (1995) as well as a few mini-stores inside some of Infosys’ campuses for imbibing a culture of reading in young IT professionals. The presence of such bookstores in almost every city of the world eventually gave way to a new trend. Bookstore tourism, unlike what the term suggests, is not just an adventure taken up by a visiting tourist. As a project initiated in 2003 by Larry Portzline, a writer from Pennsylvania, bookstore tourism involved day trips of people forming groups and “invading” (rather than mere visiting) independent bookstores in a city or in a specific locality inside the city. These trips would be organized from schools, libraries, book clubs or even large organisations with the protracted aim of promoting the tradition of physical visits to the bookstore and at the same time, improving the sales prospects for these independent booksellers. Bookstore tourism is not new in Bangalore, though it may not be known under the same term. It is not unusual to meet a tourist from another city browsing through the books in Blossom, for example. Yet, it is the citizens of this city who visit our bookstores less often than they should. A visit to the amusement park on the outskirts or to the shopping mall in another faraway corner more often attains priority over a visit to the local bookshop. If one could spare the time, a day trip to such bookstores could be as interesting and far more enlightening for a family or even a group of young people. By visiting the independent bookstore, it is not just the habit of reading that we preserve, for reading is also available aplenty in various other modes, but it is also a sense of community and a culture at its very roots that we would uphold. If independent bookstores are to last in spite of stiff competition from online stores and larger retail chains, bookstore tourism would have a major role to play in the years to come. 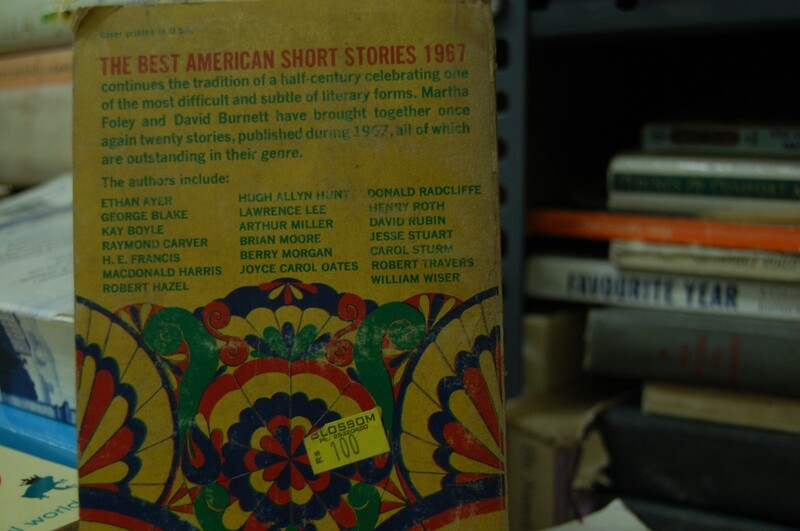 Thanks to Strand Book Stall and Books Actually for sharing images of the respective stores. Thanks also to Mayi Gowda at Blossom for permission to photograph the store.